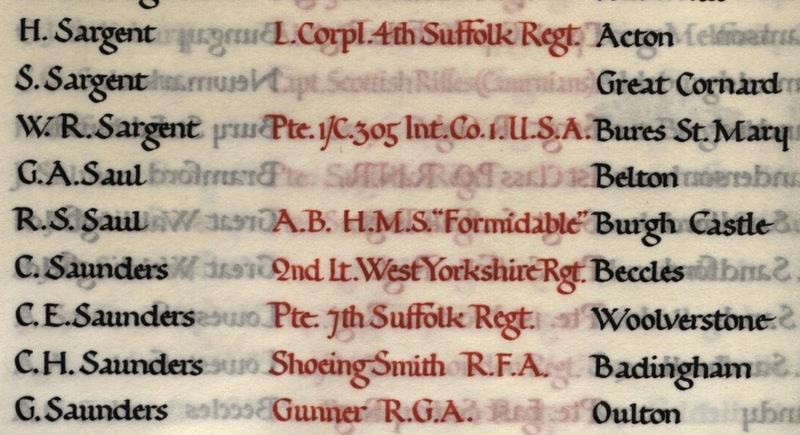 Full colour digital copies of the pages in this volume recording the names of those from the English County of Suffolk who lost their lives in the Great War, with the exception of the Borough of Ipswich, can now be accessed for free. Available from www.suffolkarchives.co.uk/times/war-and-conflict/suffolk-county-war-memorial-roll-of-honour/ you'll also find the same information in pdfs organised by surname and by parish. In most cases there's more information in the Commonwealth War Graves Commission database, but not always. 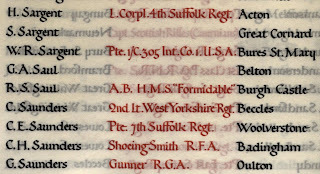 I found a case where the parish was given which was missing from the CWGC information.